This is an example of a piece that is about the nature and history of the town in which the project is located. 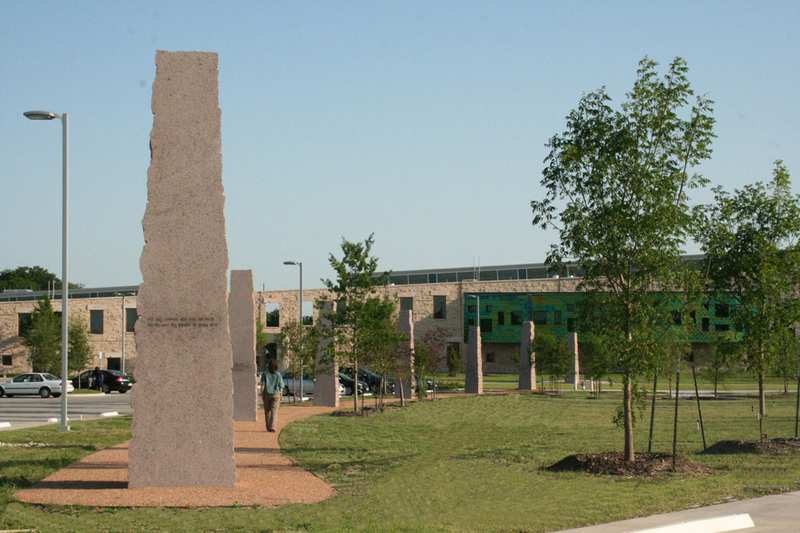 It also serves as a way finding device pointing visitors to the Civic Center Complex entries. 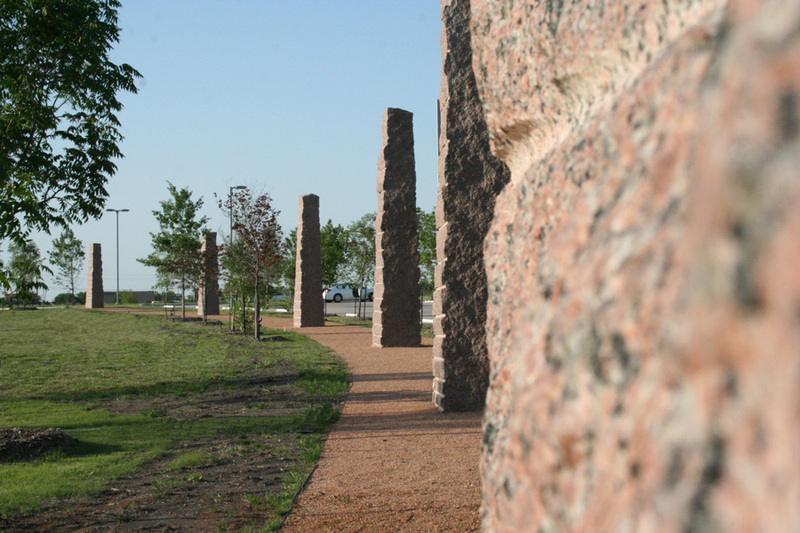 It consists of seven stone columns for City of Wylie TX new civic center complex. They range in height from 14’ to 17’, and span 380’. 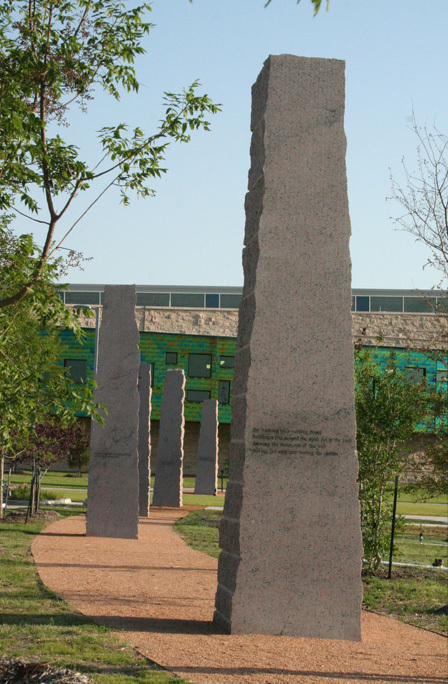 This piece’s central theme is the history of the City of Wylie Texas. Each stone has a quote from different long time residents some going back to the 1850s. The words speak directly us directly from the past. There is no narrator or history text to get in the way. Our only concern was with the earth, the sky and wonder of being alive. We grew up on work and it was good for us.